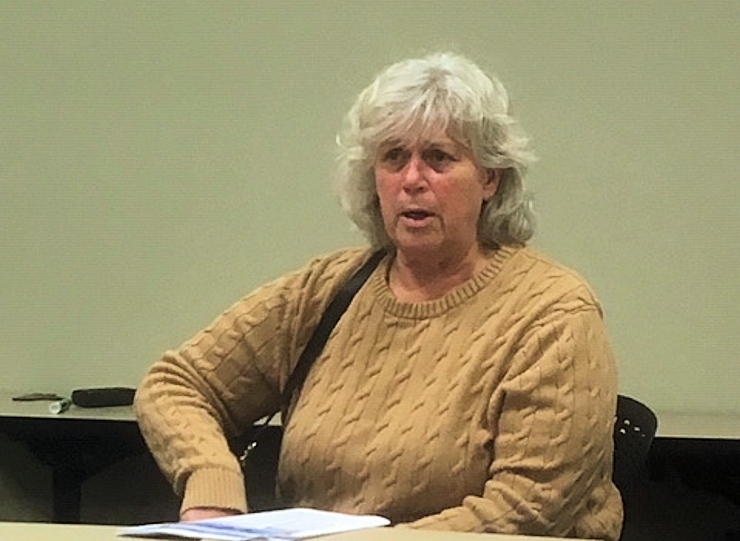 During the Open Forum portion of the meeting, Christina Leimer from East Pier proposed that the FHA sponsor a peace pole installation in the new Waldo Point park. President Michael Labate will discuss this with the WPH Harbormaster, and if it’s approved, the FHA may conduct a fundraising campaign to complete this project. The need to attract more private tours was discussed, especially in the years when the FHA doesn’t hold an open homes tour. VP Taylor Ray thanked all those volunteers who helped make the Annual Meeting and Party a success—particularly the youth volunteers who took on cleanup at the end of the meeting. She and Michael will put together a packet with guidelines for managing future annual meetings. Dock Reps were asked to solicit their neighbors and come to the April meeting with ideas about goals for this year. Peter Hudson will put a recommendation together for purchasing more shopping carts. Michael volunteered to replace wheels as needed. Carole Angermeir is compiling a list of service providers for our community. She will circulate a draft to dock reps for review. If you have recommendations for specific contractors, tradespeople, or other individuals or companies offering products or services of particular value to our community, pass them on to your dock rep.
Michael spoke with Marin Housing who may be able to help provide low-income loans for replacing pilings. Kathryn Soter is still working with sponsors to renew their ads on the FHA website. Dock reps were asked to inform service providers about this sponsorship opportunity. Court Mast reported that the Bay Conservation and Development Commission did not accept a proposal from the Richardson’s Bay Regional Agency to install a mooring field for anchor-outs. One concern is damage to eel grass. The Richardson’s Bay Regional Agency has hired a consulting firm to conduct a marine ecology based mooring feasibility and planning study. The September 14 Tour will be staged at Waldo Point Park instead of Kappas Green. Parking will again be at WestAmerica Plaza. The Board approved keeping ticket prices the same as in 2017: $50 for early birds and $55 at the door. Michele Affronte and Mari Steeno are looking for 12 homes on southern docks. The volunteer website will be up by the beginning of April; look for an announcement with a link to the site in the Floating Times. The tour committee is fully staffed, but will need lots of help in planning the event, as well as on the day of the tour.